One of the spider that is feared by many in the country is the brown recluse spider (Loxosceles reclusa). This spider is also known as the brown fiddler, fiddleback spider, or violin spider. People fear them due to their venom that has the ability to break down red blood cells (hemolytic). The venom is also cytotoxic meaning that it can destroy living cells. When these two venoms enter into your body, they are called necrotic because they cause lesions on the skin tissues. However, not all brown recluse bites will cause these side effects. Some only cause some pain and red marks that don’t cause any real damage. You don’t have to be a professional exterminator to identify these spiders. You can easily recognize them by their light brown colors and slender legs. Two other features that can help you to distinguish them from other species include their violin shaped backs and semicircular arrangement of their eyes. They have three pairs of eyes. One set faces either side of the head, and another faces forward. It is easy to find adult recluse spiders during spring. The mating season of these spiders mostly lasts from April to mid-July. During this time, the female spiders have a capability of laying up to five egg sacs that contain more than 50 eggs each. The period between hatching to adulthood takes less than a year. These spiders have been found to have a lifespan of more than two years. The recluse spiders get their name because they often hide in secluded places, such as under rocks and in closets. Therefore, watch out for them when you are collecting wood from a pile and put on gloves when you are exploring places that haven’t been disturbed for some time. Recluse spiders always avoid humans and will only bite when they feel like they are being threatened. Recluse spiders are not aggressive, and they spend their time hiding and waiting for small insects and bugs. These spiders are mostly found in the central Midwestern states and Southeast areas. Therefore, in case you live in these areas, you will find tons of them. If you live outside these areas, there are slim chances that you will find them in your home. However, you can find them if you like to travel a lot because they can hide in suitcases or during warm climate. These spiders are especially dangerous to senior folks, people without strong immune systems, and the very young. Therefore, if you feel or think that a recluse spider has bitten you, seek medical attention. Professionals recommend applying insecticidal dusts in attics, inaccessible areas and in wall voids. 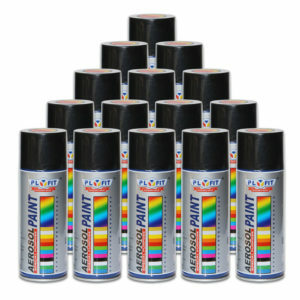 Dusts have been found to provide longer control compared to sprays. While applying these dusts, be careful not to contaminate your belongings in storage areas by covering them with plastic tarps. The liquid insecticide should be sprayed or applied to closets, exterior foundation, storage areas, eaves, and rugs. Ideally, choose sprays that have residual killing activity. It is important to get rid of unnecessary clutter, remove spider webs both inside and outside of the house, and proceed to vacuum your home thoroughly behind and under sofas. Because recluse spiders are often found inside and around boxes in the closets and attics, tape these boxes to eliminate potential nesting areas. You can use aerosol or ultra-low volume (ULV) treatments with resmethrin or pyrethrins as your final step in your spider control program. Using ULV alone is not effective. When both of them are used, they can kill spiders instantly. This encourages other recluse spiders to move into their nests which are already treated with residual dusts and sprays. You can easily find this at many craft shops. It is said that it is a good brown recluse repellent. People who have used this method before advise that you should begin by scattering some eucalyptus branches around the house to reduce the number of spiders. They are also known as monkey balls, osage oranges, or horse apples, and they are used as spider repellents. It is advisable to place several of these balls on walls around your home. It is estimated that hedge balls can last for more than three months. These are a natural method of controlling spiders and it doesn’t involve the use of pesticides. These traps have sticky substances which trap spiders when they step on them. When trapped, they are unable to catch their prey and are starved to death. 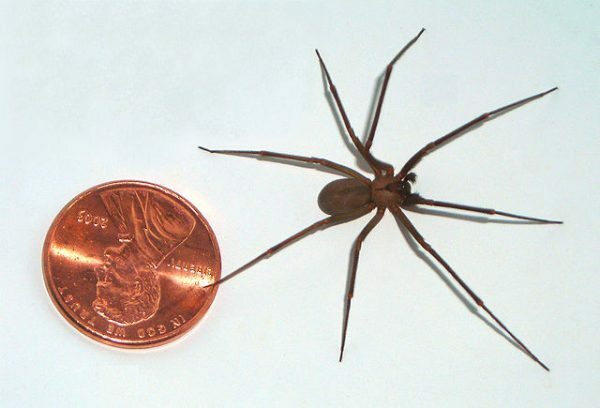 As you proceed to eliminate recluse spiders in your home, you should also take precautions to lessen the likelihood of being bitten. You can do this by moving beds away from drapes, walls, and furnishings. Bedspreads and skirts should also be removed to avoid touching the floor. Remember to also remove your shoes and clothes away from the floor or if you do, shake them well before wearing. It is also advisable to store items that you seldom use in plastic storage bags.